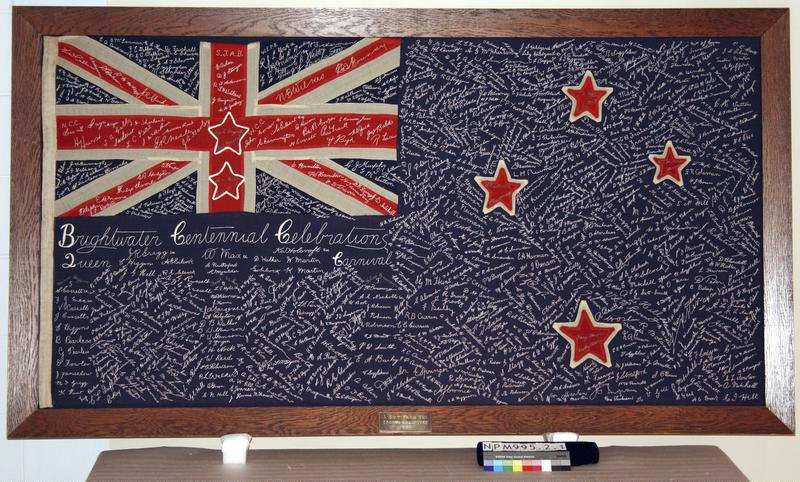 This hand embroidered cotton flag was completed in 1940 to coincide with the New Zealand Centenary. It is also associated with the Brightwater Queens' Carnival. 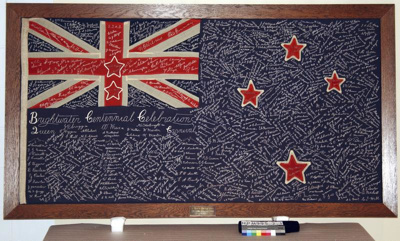 Funds were raised from the sale of spaces for names to be embroidered on the flag. The museum has a list of all the names - nearly 1000 names appear.